So, serious poll RN: how many of you have heard the phrase the dress doesn’t make the bride, the veil does? We should be seeing ALLLLLL of ya’ll raising your hands, because it’s right on up there with another one of those that you’ll hear at least a dozen times before your wedding day arrives: all that stress will be worth it in the end. While the latter one is certainly true, because once you do say ‘I Do,’ all that stress does kind of disappear (magically), we wouldn’t necessarily say that the veil makes the bride all the time. In fact, it’s a lot of things that make her the beautiful, stunning, radiant, calm, collected bride that she is. And today, instead of talking about veils, which (in our mind) can strip a bride of her uniqueness, fashion sense, and comfortability, we thought we’d jump into headpieces. All of us here at Wedding Chicks have our own sense of style, and each of the Lottie-Da Designs’ options had us hooked, for various reasons. In the end, though, we love how inclusive the artistry and craftsmanship is and felt suuuuper confident coming out to say that they truly have something for every bride. 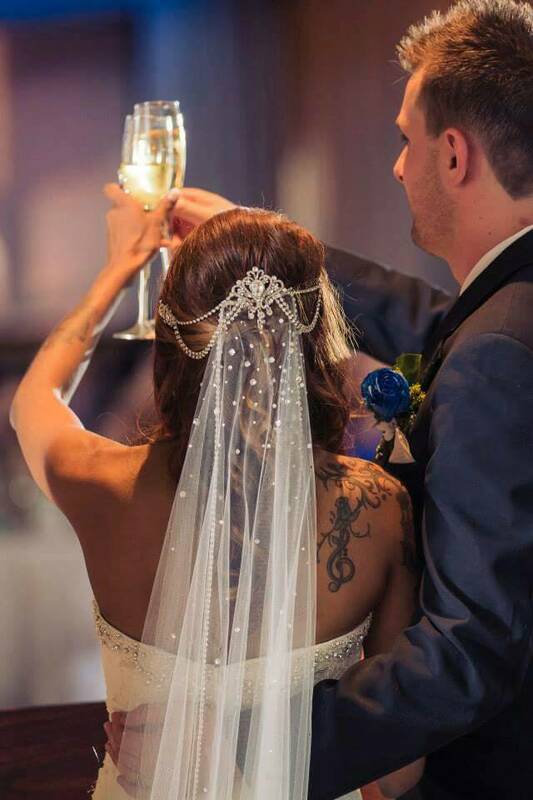 It’s not like a bride puts on a veil or a pair of shoes or her #somethingold or new or borrowed or blue and within moments she’s ready to walk down the aisle and into her newlywed life. It’s a layering process; each element that she adds to her ensem and each memory that unfolds through her engagement right on into her wedding morning helps create the full picture of a bride, only complete when they’re all joined by a smile. If you’re not familiar with this Etsy vet yet, then you’re really going to love getting to know this brand. In the last 10 years, the shop has earned incredible sales and manages to keep its rankings🌟🌟🌟🌟🌟 stellar, because less than that isn’t even in the realm of believability for team LDD. 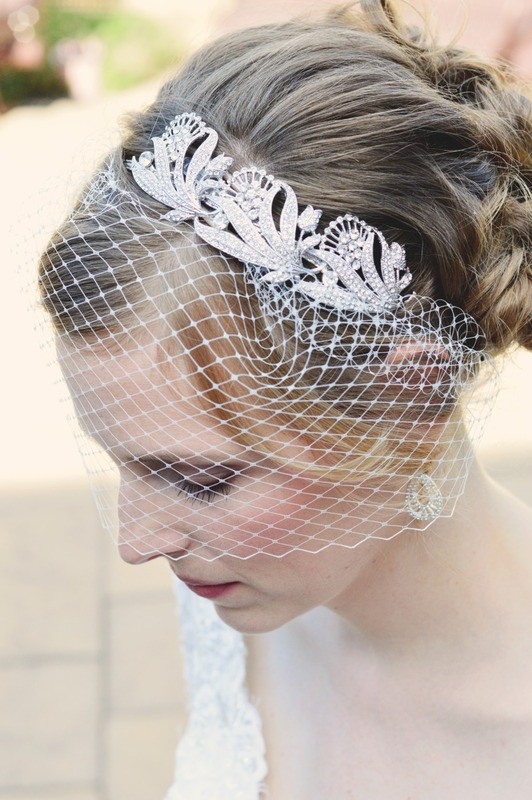 Truly, everything they sell from jewelry to hair combs, beaded wire hair vines to headbands and flower crowns, is an original design that you can buy with confidence. And we say ‘with confidence,’ because not only are the items made by hand with loving care, attention to detail, and top-quality materials, they’re also available at great prices. 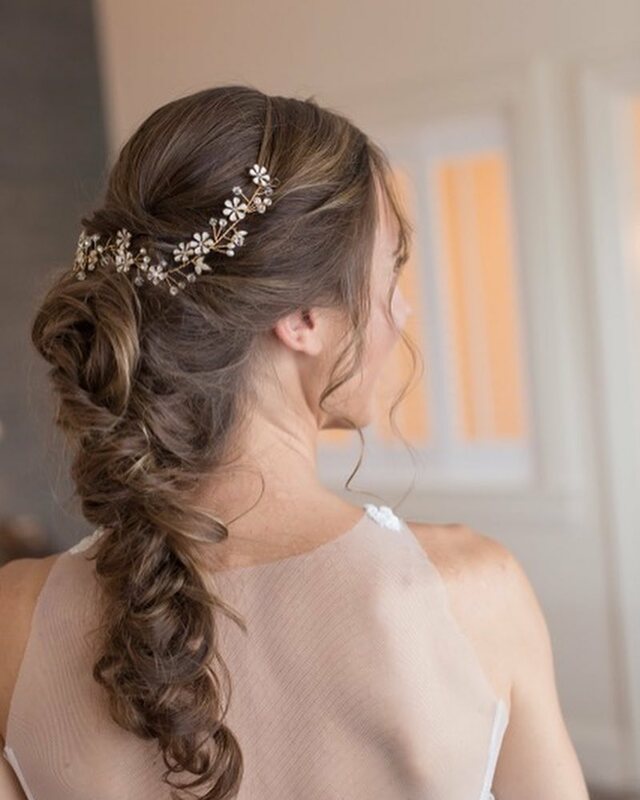 Plus, with 10 years of solid hair accessories fame in the game, they also know how to temper their vintage and boho bridal sensibility with a number of other trends and fashion personalities. 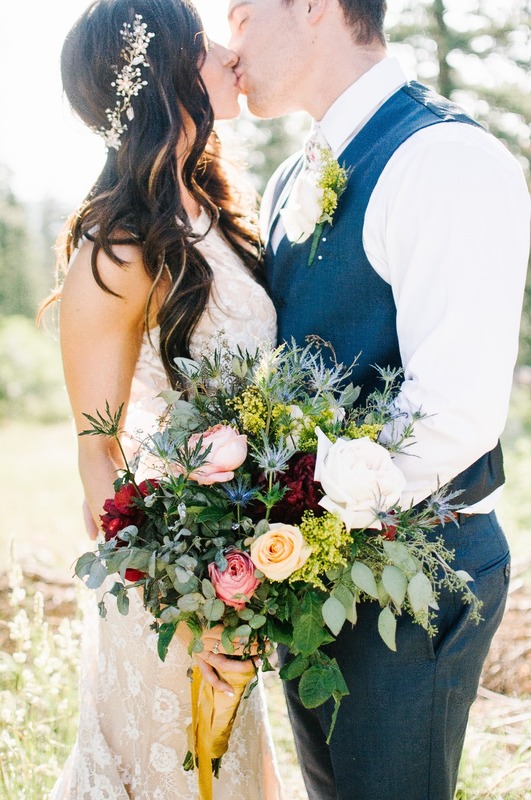 There’s just as much free-spirited boho ease as there is Gatsby Art Deco glam, just as much for the classic, contemporary bride taste as there is for the bride who relishes a more rustic, woodland look for her day. 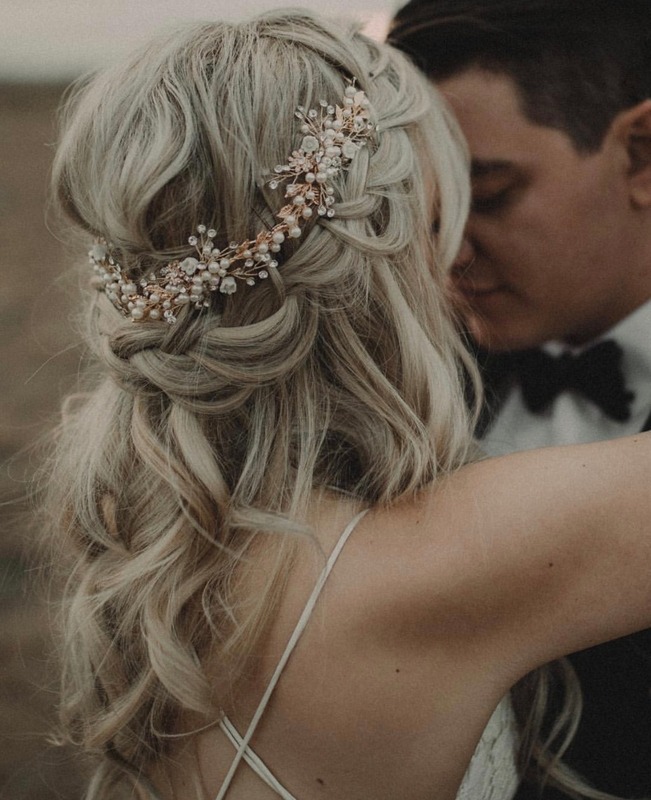 Top 2019 wedding trends are WELL represented, but so too are the brides who are embracing them. Bring on the goods, right? We thought you’d never ask…. Which bride do you vibe with? Whether it’s one of the lovely ladies, more than one, or ALL of them, Lottie-Da without a doubt has something for you. 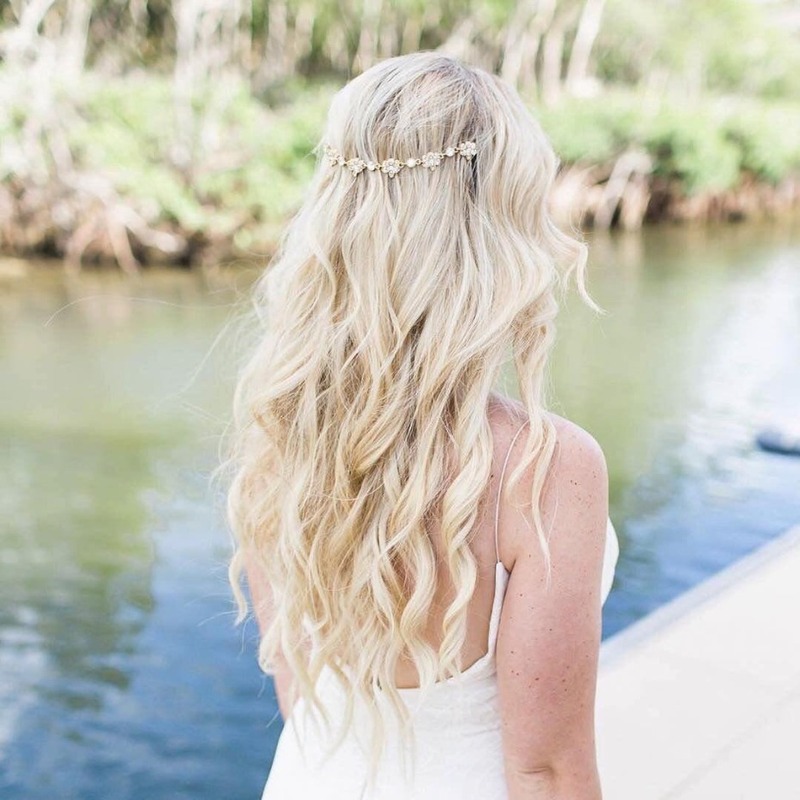 We partnered with Lottie-Da Designs to share all the brand's hair accessories magic. As always, thank you for supporting our sponsors!